Very good product, good quality. Our staff give great feedback on these. Suitable for all shoe sizes, our Overshoes 16inch Disposable Blue fit into a wide range of professional environments. 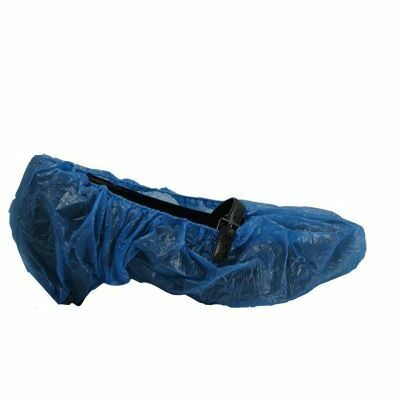 Used predominantly in catering and medical businesses, these single-use disposable overshoes are made from a blue polythene. They worn to keep bacteria, environmental allergens and outside contamination from crossing over onto carpets, kitchens and medical theatres. The elasticated fit stretches to accommodate all shoe types while holding securely around the ankle. Each one is waterproof, highly durable and an economical option for even the tightest of budgets. Alternatively, they work great on children's muddy shoes or visiting contractors.